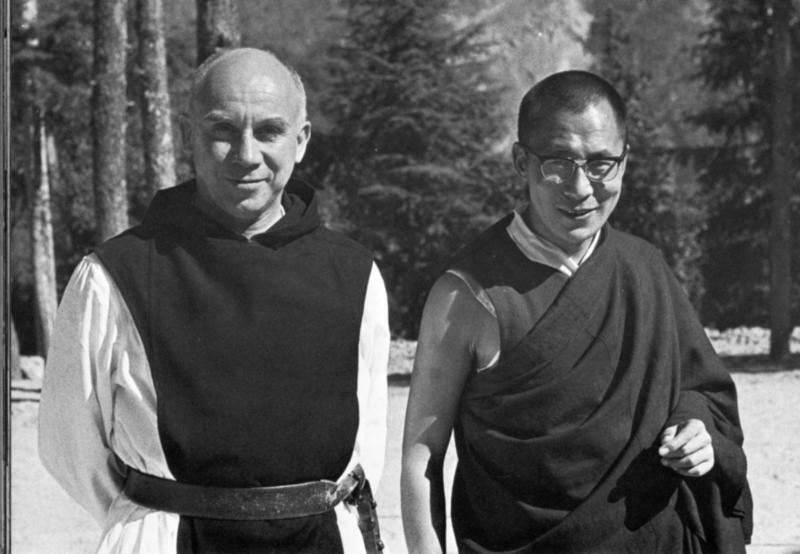 LOUISVILLE, Ky. (CNS) — Fifty years after his death, Father Thomas Merton is still helping to draw others nearer to Christ through his writings and the communities they tend to create, said Father Lawrence Morey. Like the late monk, Father Morey is a member of the Cistercians of the Strict Observance, known as Trappists. Father Merton lived and wrote from his order’s Abbey of Gethsemani near Bardstown. He died Dec. 10, 1968, near Bangkok, where he was attending a conference for monks from the Order of Cistercians and the Order of St. Benedict. Father Morey gave the homily during a Mass of remembrance honoring Father Merton Dec. 10 at the Cathedral of the Assumption in downtown Louisville. Archbishop Joseph E. Kurtz of Louisville presided. The priest said the support of a community is essential in finding Christ and most of Father Merton’s writings show how important community was to him. Father Morey shared with his listeners that the burial of a brother monk at the Abbey of Gethsemani is a “community affair.” All the monks take part by singing and praying. Six are chosen as pallbearers with the responsibility of lowering the body into the ground. The paralyzed man from the Gospel of Luke, whose friends lower him through the roof so he could see Jesus, is somewhat like “our deceased brother,” said Father Morey. He needed the support of his friends and a community to reach Christ. Like the paralyzed man in the Gospel, “we all need community in order to find Jesus,” Father Morey explained. Community, however, is often missing in today’s world, he said, noting that people often use their differences to separate themselves from others. During his years at Gethsemani, Father Merton also formed a larger community through correspondence with people from around the world — people of different religious backgrounds, said Father Morey. Those who’ve been touched by Father Merton often want to share their experience, added Father Morey. “He makes people seek others out to form various kinds of communities. We’ve only to look around this very church to see this,” he said, referring to the group of young, old and middle-age people who’d gathered to remember Father Merton half a century after his death. The Mass was one of several events sponsored by Bellarmine University to commemorate the 50th anniversary of the Trappist monk’s death. One event was the building of a Tibetan sacred sand mandala inside the Merton Center on Bellarmine’s campus, the week of Dec. 3 by the monks of the Drepung Gomang Monastery in the Louisville metro area. The sand mural is a Buddhist religious teaching tool, according to information from the monks. It was dismantled during a ceremony Dec. 10.